Doudy Draw has some of the best views of the Boulder Flatirons in all of Boulder County. Capturing images during the winter months can be difficult as the trails in this area are often closed due to mud. 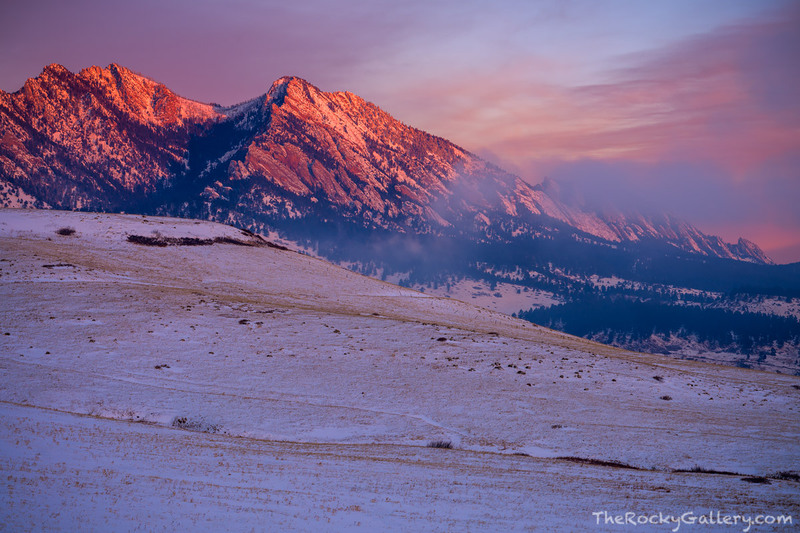 On a very chilly morning with the temperatures hovering around nine degrees fahrenheit, fog clears South Boulder Peak and Bear Mountain revealing the snow covered Flatirons. Photo © copyright by Thomas Mangan.